• Consumption patterns are changing rapidly in the Asia-Pacific region. While this has been an economic growth success story, it has come at an environmental cost: high resource use, fast growing greenhouse gas emissions, and rising amounts of plastic waste. • We can do better going forward. Major innovative ‘disruptions’ to our consumption patterns are already underway with an explosion of innovations in business under Industry 4.0 and share economy models. Policy makers are also leading the charge with ambitious action on plastic waste and carbon. • To meet the scale of the sustainability challenges facing the region, policies and businesses must move from incremental improvement towards systemic strategies that change the consumption behavior and lifestyle of individual consumers, with the public sector leading the way. • Civil society actors and many more are showing the way, sharing, learning to sustain our natural resources and further transform change for a resource efficient Asia. 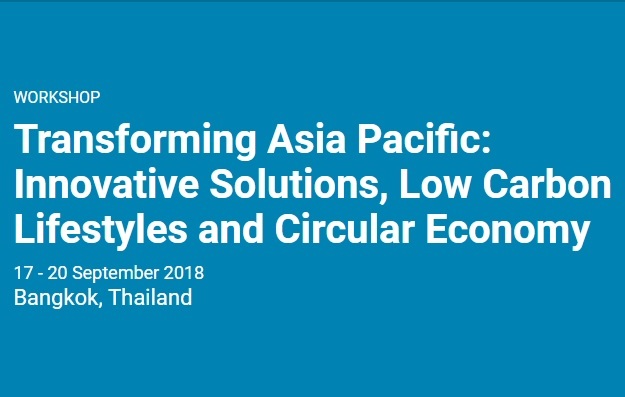 Transforming Asia Pacific is a event that brings together governments leaders, experts, private sector and civil society organizations in a series of events focused on a demand driven shift to greener products and services, and a resource efficient Asia. The two types of consumption will be addressed: individual consumption as influenced by lifestyles, and public procurement which accounts for at 30% or more of consumption in many countries. Facilitate training on policies, standards, tools, practices and national reporting in South Asia Countries. South Asia training on Sustainable Public Procurement. This event brings together Environment, Finance and other stakeholders to identify ways of using Sustainable Public Procurement to accelerate national goals on circular economy, plastic waste prevention and low carbon consumption. C asean sustainable Development Forum. This event brings together business, NGO and policy leaders from ASEAN countries and beyond to accelerate business sector implementation of the Sustainable Development Goals. 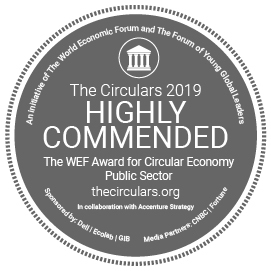 Forum: Innovative Solutions, Low Carbon Lifestyles and Circular Economy aims to mobilize policy makers and business leaders to accelerate towards low carbon circular economy. Five areas of innovative solutions will be discussed: Innovative policy mechanisms, business models for circularity, disruptive technology innovation for low carbon consumption, finance mechanisms, and aligning low carbon policy with cultural norms. Launch of SWITCH-Asia II. SWITCH-Asia II is funded by the European Union. SWITCH-Asia II promotes sustainable growth, contributes to economic prosperity and poverty reduction in Asia, supports the development of a green economy and encourages climate change mitigation. 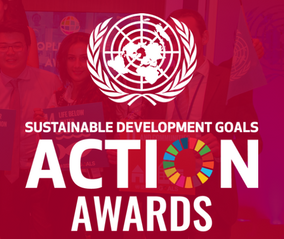 Three components: - Grants for projects in SWITCH-Asia countries - Sustainable Consumption and Production Facility (SCP Facility) for capacity building and coordination - Regional Policy Advocacy by UN Environment.